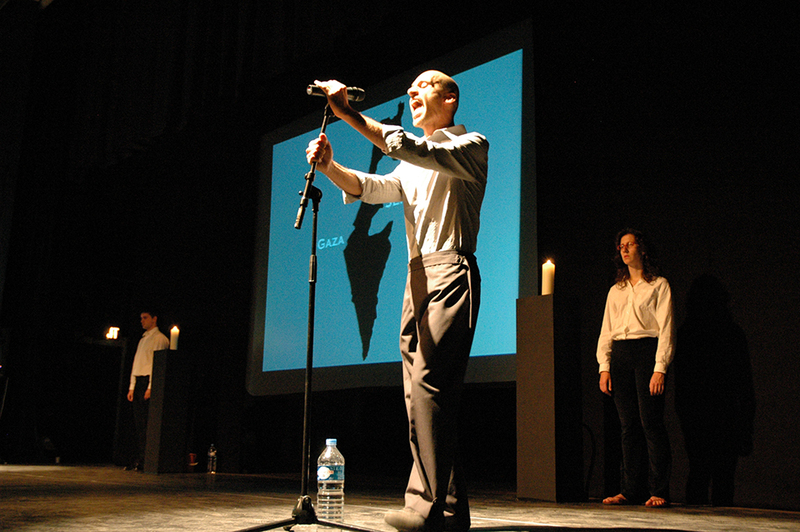 In Memorial Service – a collaborative performance project with Mikhail Karikis – three Palestinian voices recite the names of 369 villages that were destroyed. 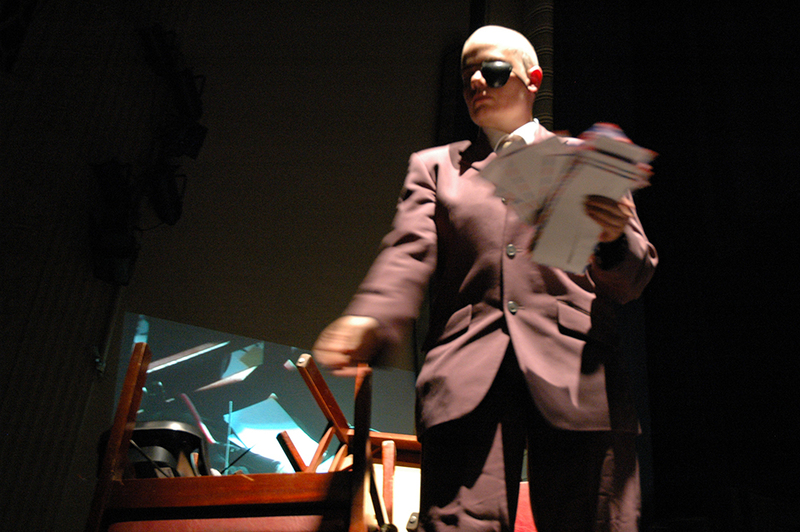 Oreet’s character, based loosely on the Israeli army general Moshe Dayan, shreds 369 envelopes with the names of the villages written on them. 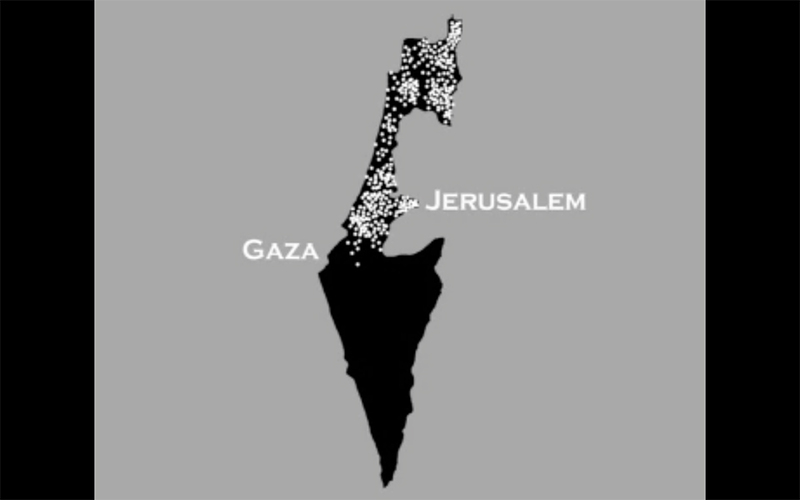 In parallel, a projection of a continuously shifting map displays the radical geopolitical effects of the evacuation of the Palestinian villages. 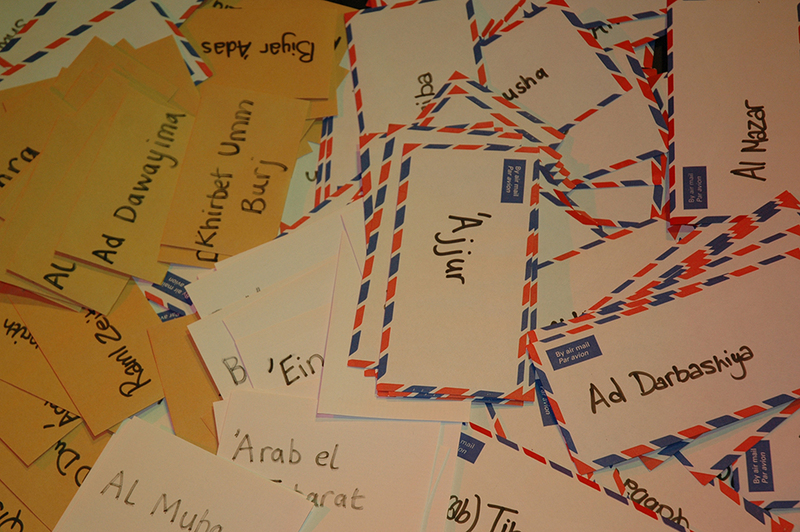 As the name of a lost village is verbalised, a white dot appears in the geographical location of its absence. The moving map gives a sense of the level of ‘emptying-out’ that took place between 1947-9. The issue at hand is the current displacement of the Palestinian Diaspora and the continuous evasion of law and human rights regarding the Right to Return, as a result of the Nabka. The current blockage of the reuniting of Palestinians from Europe and the USA with their families in Israel and Palestine, is an indication of the worsening of the situation.